The Westchester Rent Guidelines Board is gearing up for public hearings on rent increases for regulated apartments starting this week as the state Legislature and governor fight over the details of extending the state rent laws. The Guidelines Board will hold hearings tonight in Mount Vernon, Wednesday in Yonkers and June 13 in White Plains before deciding June 20 on rent increases for buildings subject to the Emergency Tenant Protection Act. About 30,000 apartment units in Westchester County fall under the act, which is designed to limit rent increases in communities with tight rental markets. Meanwhile, the law will expire June 15 and the power players in Albany are maneuvering for advantage in the negotiations. Tenant advocates are pressing for the repeal of vacancy decontrol, where a unit renting for more than $2,000 a month comes out from regulations when the tenant moves out. Building owners are pressing for an extension of the law as is. The Assembly passed its version of the bill in April, which extends it through 2016 and includes the repeal of vacancy decontrol along with many other tenant-friendly changes. Advocates don’t expect the final version to look like the Assembly bill, despite support from Gov. Andrew Cuomo for an unspecified strengthening of the rent laws. But state Senate Majority Leader Dean Skelos wants to extend the laws without changes. To give himself more leverage, Assembly Speaker Sheldon Silver, a Democrat, has linked the rent laws with the passage of a property-tax cap, which Skelos and Republicans in the Senate have made a high priority. Albert Annunziata, the executive director of the Building and Realty Institute, which represents apartment owners, said though the law is biased against owners, they have learned to live with it and would accept an extension. “Anything that would tilt the body of rent laws even further against owners, we don’t see the logic of that,” he said. 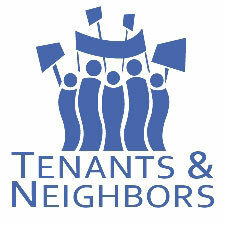 And owners are concerned that, with the governor and Assembly pushing for pro-tenant changes, the politics are tipped in the tenants’ favor this year, Annunziata said. Hanratty is on the steering committee of the Real Rent Reform Campaign, a mostly New York City-focused group which has been trying to pressure the governor to throw his weight on the side of tenants. They’ve been holding rallies and building “Cuomoville tent cities” in New York City. Sen. Andrea Stewart-Cousins, D-Yonkers, said tenant-friendly lawmakers had been trying to renew the laws before the last minute. But, like in past years, the debate has come down to the wire. “We are really pushing hard that there will be some strengthening,” she said. The Emergency Tenant Protection Act, passed in 1974, set up rent guidelines boards to decide on rent increases for apartments in communities that have opted into the act in Westchester, Rockland and Nassau counties. In Westchester, 20 communities have opted in. The regulations generally cover apartments with six or more units built before 1974, but some municipalities limit it to larger buildings. Last year, the Westchester board allowed no increases.